Blueprint Gaming has released the Jewel Strike Slot title through its partnership with the NYX Gaming Group. 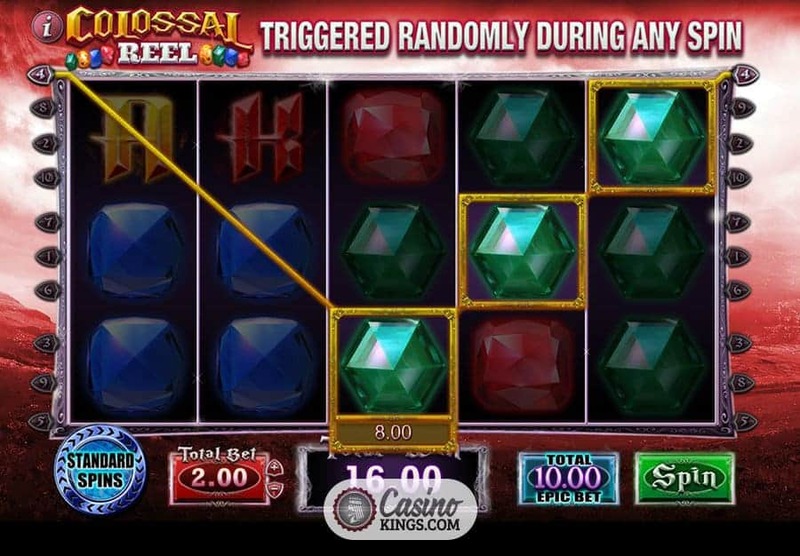 While it may sound like a code-name for an RAF battle strike it is in fact a five reel, three row online slot with 10 fixed pay-lines that pays both ways. Add to this heady mix a blend of innovative bonus features and you have a jewel in the crown of Blueprint’s gaming catalogue. This title is all about the jewels. A glittering Golden Globe and Emerald, Ruby and Sapphire gems make up our high-paying symbols while even the 10s through Aces are given a shimmery makeover. 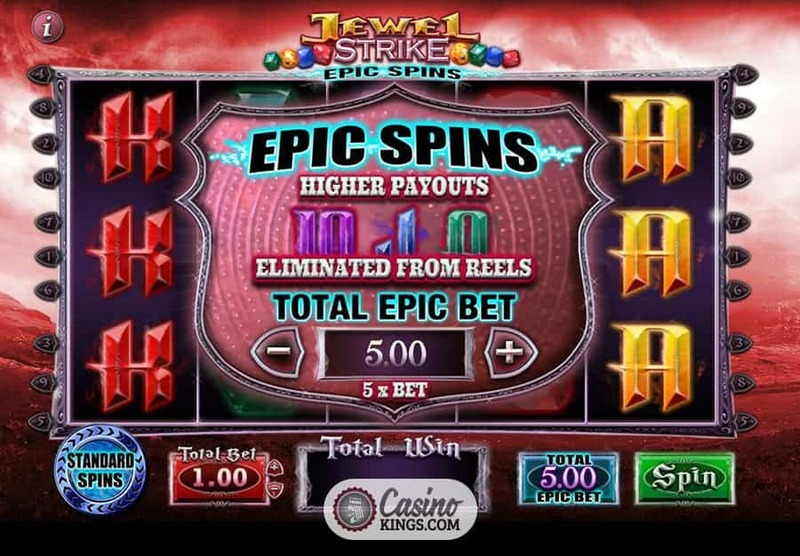 However, we can choose to eliminate the lower symbols from the reels using the Epic Spins feature, but more on that in the Bonuses review below. Perhaps the most striking (aha) aspect of Jewel Strike’s game-play is not only that the symbols pay both ways, effectively giving us a 20 pay-line game from a 10 pay-line outlay – but the symbols also payout adjacently. So if we land three adjacent symbols on reels 2, 3 and 4 we still earn the three symbol payout! 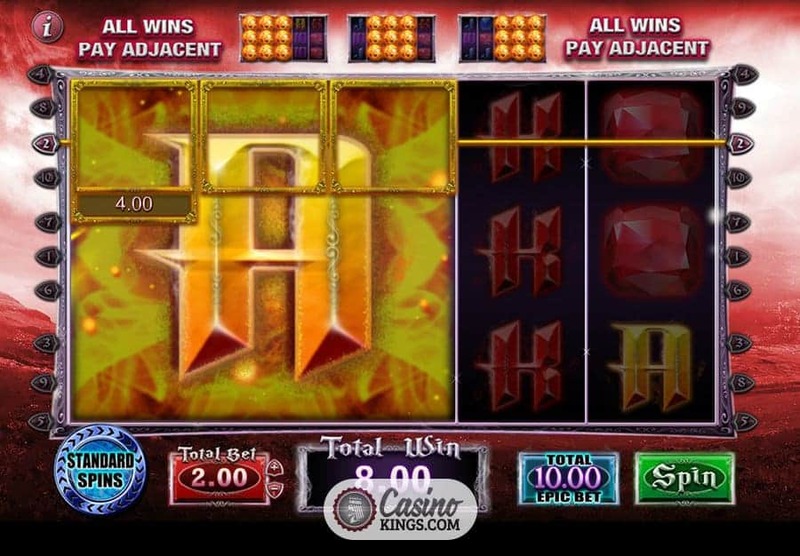 We all get a satisfying shudder when we land a winning pay-line from right-to-left, but to land a winner from the middle three reels takes our satisfaction level to glitzy levels. 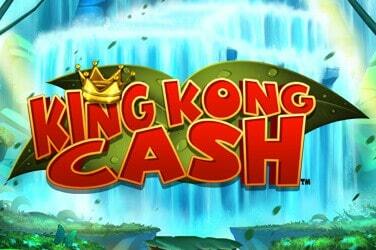 And with an RTP of 96.097%, Jewel Strike offers us plenty in the way of base game payouts. Remember the Epic Spins feature we mentioned earlier? By selecting Epic Spins, we can remove the low-paying symbols from the game in various degrees. I personally would like to do away with standard 10s through Aces from every online slot, so any chance I get I most definitely will. 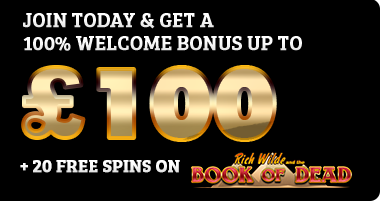 To play Epic Spins means we will pay a higher stake, but removing the lower-paying symbols guarantees higher payouts. 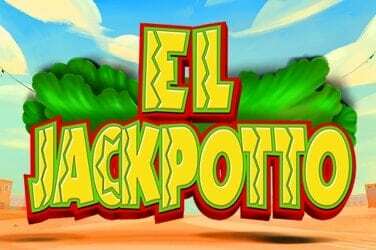 This works using a multiplication factor, so we can still play the minimum €/£/$0.20 total bet but by selecting Epic Spins this will multiply to an Epic Bet, displayed helpfully on the opposite side of the reel case. 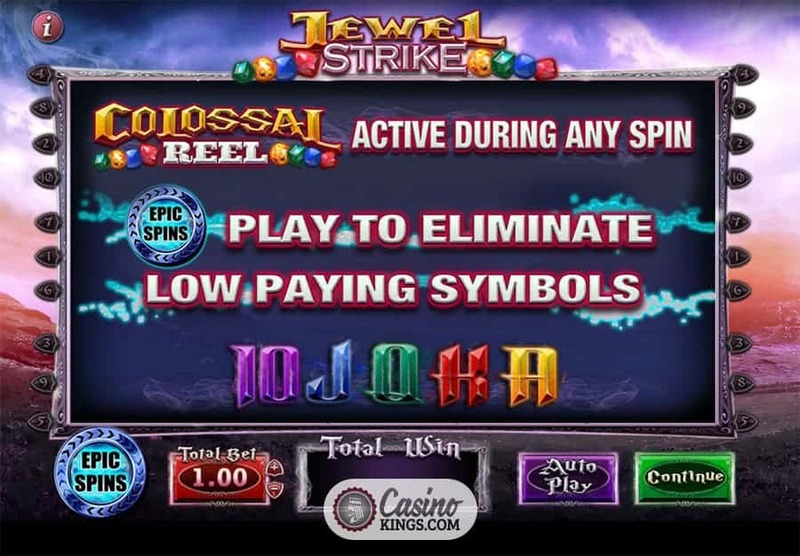 We can also activate the Colossal Reel feature during any spin. 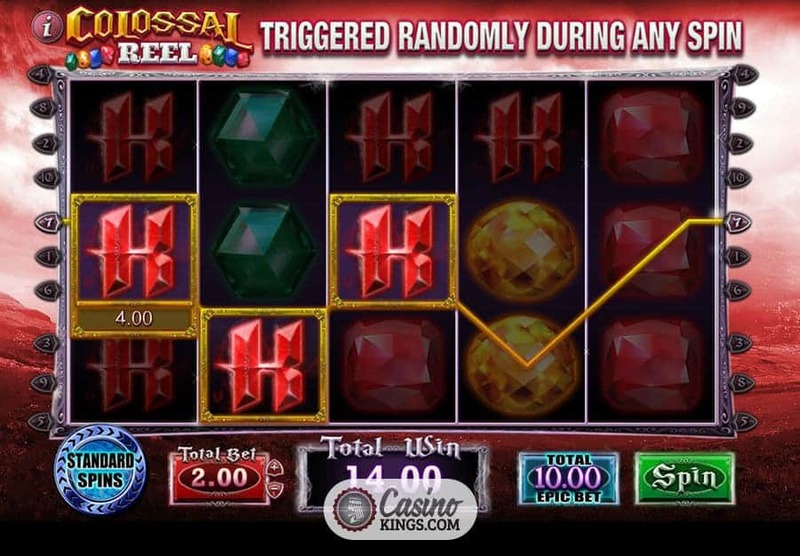 This randomly-triggered feature sees a golden Colossal Symbol appear across three consecutive reels, guaranteeing a win on every line and potentially bringing us a x1,000 multiplier if we land Golden symbols across the entirety of the reels. Jewel Strike promises all that glitters, and with excellent game-design and (literally!) 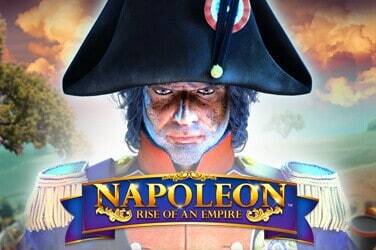 epic game-play-based bonuses it delivers on every front. Like the best online slots, Blueprint has designed and developed a title that we can personalize to suit our own gaming needs and truly puts to bed the myth that all that glitters is gold.